British Columbia, Canada. Apply worldwide. - able to perform service, maintenance and clean the bikes on an everyday basis. A knowledge and skills in this area are required. - Different language skills considered a strong asset. - You must be friendly and interact with the guests. - All meals are taken with the guests. 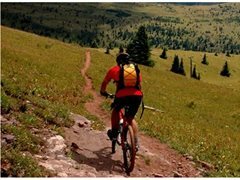 - You'll be maintaining the bikes and give challenging expeditions for bike enthusiasts. - The day ends at 12:30am after the disco. Please note that while cast from Canada, this position will be for various locations throughout Europe and requires all applicants to have an EU Passport.